US Special Counsel Robert Mueller has concluded his nearly two-year investigation into Russia’s role in the 2016 presidential election, any possible collusion between the Trump campaign and Moscow and whether President Donald Trump unlawfully sought to obstruct the probe. 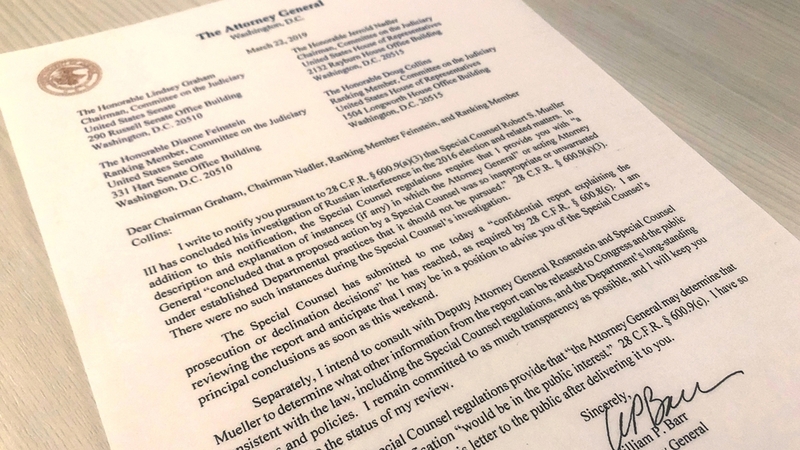 On Friday, Mueller handed over his report to Attorney General William Barr, who has said he will write his own account of the special counsel’s findings. Trump has denied any collusion and called the report a “witch-hunt”. Moscow has denied interfering in the election. Democrats have demanded that Congress and the public be allowed to look the full report. Trump is yet to address Mueller’s report, almost 24 hours since news broke that the special counsel’s investigation had concluded. The president is at his Mar-a-Lago resort in Florida where he played golf on Saturday, following a meeting with leaders from several Caribbean countries on Friday. Al Jazeera’s Gabriel Elizondo, reporting from nearby Palm Beach, said Trump was in the company of his top lawyers and advisers but that the White House had yet to be briefed on the report. “They are just as much in the dark as everybody else,” he added. When Trump did tweet on Saturday, it was to warn against online “propaganda” from the Islamic State of Iraq and the Levant (also known as ISIS or ISIL) and announce the withdrawal of newly-issued additional sanctions on North Korea. Barr will not be providing Congress with Mueller’s findings on Saturday, a senior Justice Department official has told The Associated Press news agency. The official spoke on condition of anonymity because the person was not authorised to publicly discuss the review process. Barr is currently reviewing Mueller’s confidential report and has said he expects to provide Congress with the “principle conclusions” this weekend. House Democrats are expected to gather by phone as they wait for the Justice Department to send them details of what Mueller has found in his investigation of Russian interference, according to a person familiar with the meeting. The source requested anonymity to discuss the private call. 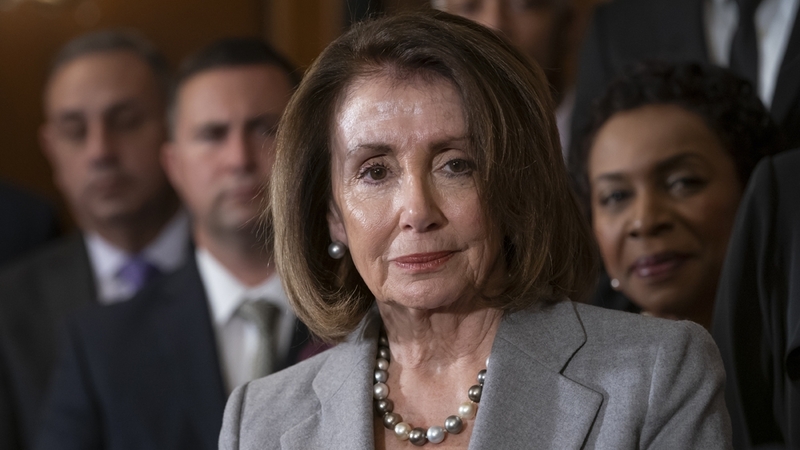 Democrats planned the 3pm conference call on Saturday to discuss strategy and their next steps after they were notified Friday afternoon that Mueller had sent his completed report to Barr. Barr said in a Friday letter to the House and Senate Judiciary committees that he would share Mueller’s “principal conclusions” with Congress as soon as Saturday. The special counsel’s full report is confidential, but Barr says he will be deciding soon how much of it he will release to Congress and the public. The Democratic chairs of six House committees have demanded that the Justice Department release “without delay” the full report it has received from Special Counsel Robert Mueller. They said they expect Barr also to turn over all evidence Mueller has uncovered. The Democrats said since the Justice Department asserts a sitting president can’t be indicted, Barr’s failure to release evidence of criminal or other misconduct by Trump “would raise serious questions about whether the Department of Justice policy is being used as a pretext for a cover-up of misconduct”. President Trump’s lawyers said they want an early look at Mueller’s findings before they are made public. That’s according to Rudy Giuliani, Trump’s lawyer. He said Trump’s legal team has not received any assurances that they will get the early look they want, though. Mueller will conclude his government service in the “coming days”, according to special counsel spokesman Peter Carr. Carr said in a statement that a “small number” of the office’s staff will remain “to assist in closing the operations of the office”. He did not provide a specific timeline for when that might occur. As of Friday, 11 prosecutors were still employed by the special counsel’s office. House Intelligence Committee chairman Adam Schiff says his panel will issue subpoenas if Mueller’s report – and its underlying evidence – are not released to Congress for further review. The California Democrat said on CNN that Congress needs to know “and so does the country”. He said he is willing to subpoena Mueller as well as Attorney General Barr, if needed, to push for disclosure. House Democrats now see the Mueller investigation as a starting point for their own probes of President Trump and Russian interference in the 2016 election. A top Republican, Senator Chuck Grassley of Iowa, said the findings of the special counsel’s Russia investigation must be made public to end the “speculation and innuendo” that hangs over Trump’s administration. The former Judiciary Committee chairman said while it is clear the Russians “tried to meddle in our democratic processes”, he has still not seen any evidence of collusion. Grassley said Barr must provide the findings from Mueller’s report to Congress and the American people “to finally put an end to the speculation and innuendo that has loomed over this administration since its earliest days”. Mueller is not recommending any further indictments in the Russia investigation. That is according to a Justice Department official who spoke on condition of anonymity because the person was not authorised to speak publicly about the confidential recommendation. Senate Judiciary Committee Chairman Lindsey Graham said that he and the panel’s top Democrat, Senator Dianne Feinstein, will be briefed “in the coming days” about Mueller’s report. The South Carolina Republican said he was notified by the Justice Department that Mueller’s report has been turned over and that the attorney general “will pursue as much transparency as possible”. Graham said he expects to be “more thoroughly” briefed. He says he believed it was important for Mueller to do his job “without interference, and that has been accomplished”. Attorney General Barr said the Justice Department did not block Mueller from taking any action during his Russia investigation. He said in his letter to members of Congress on Friday that “there were no such instances during the Special Counsel’s investigation”. The attorney general notified four key congresspeople that he may update them over the weekend. Senate Majority Leader Mitch McConnell said he welcomes news that Mueller has completed his investigation into Russia’s efforts to interfere in the 2016 elections. McConnell said he and other Republicans have long believed that Russia poses a significant threat to American interests, adding that he hopes Mueller’s report will “help inform and improve our efforts to protect our democracy”. The Kentucky Republican said he hopes that Barr, who received Mueller’s report on Friday, will “provide as much information as possible” on the findings, “with as much openness and transparency as possible”. Georgia Congressman Doug Collins, the top Republican on the House Judiciary Committee, said he expects the Justice Department to release the report to the committee without delay “and to the maximum extent permitted by law”. House Speaker Nancy Pelosi and Senator Chuck Schumer said it’s “imperative” to make the full report from Mueller public. In a joint statement, they said Barr must not give President Trump, his lawyers or staff any “sneak preview” of the findings or evidence. The chairman of the House Judiciary Committee said Congress should receive the full report from Mueller’s Russia investigation. New York Democrat Jerrold Nadler said in a statement: “We look forward to getting the full Mueller report and related materials.” He added that “transparency and the public interest demand nothing less” because the public needs to have faith in the rule of law. Democratic presidential candidates have demanded that Attorney General Barr make Mueller’s report on Russia public. Minutes after Barr notified members of Congress on Friday that Mueller had delivered his report, Elizabeth Warren of Massachusetts tweeted that the attorney general should “release the Mueller report to the American public”. Shortly afterwards, Warren tweeted a call to supporters to sign a petition to have the report made public. Senator Cory Booker of New Jersey tweeted that the report “should be made public immediately”. President Trump’s lawyers said they were “pleased” that Mueller has delivered his report. 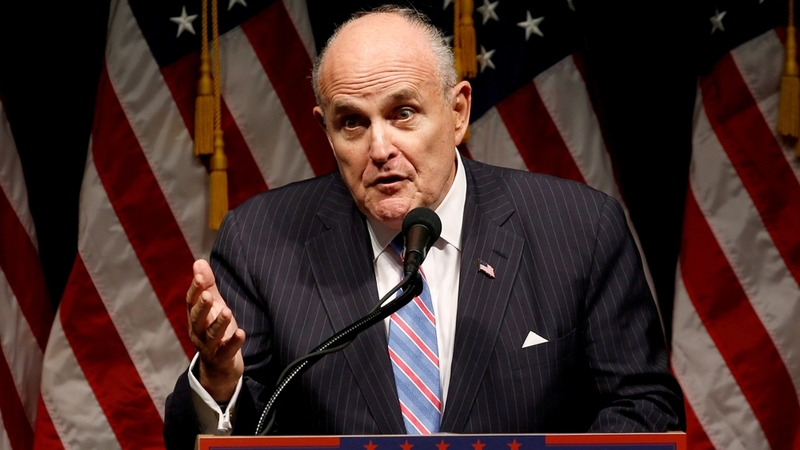 Rudy Giuliani and Jay Sekulow issued their joint statement within minutes of Barr’s letter to key members of Congress confirming the delivery and suggesting he could update congresspeople as soon as this weekend. “We’re pleased that the Office of Special Counsel has delivered its report to the Attorney General pursuant to the regulations. 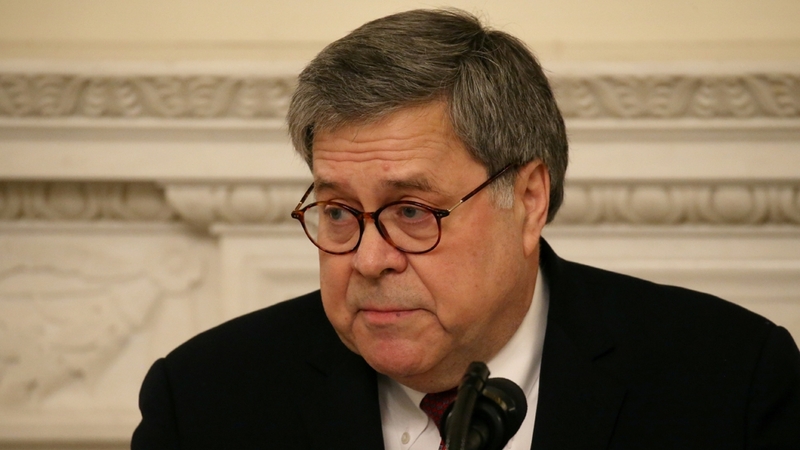 Attorney General Barr will determine the appropriate next steps,” the statement said. Responding to the release of the report, the White House said the next steps are “up to Attorney General (William) Barr”. Mueller’s report concluding the Russia investigation was delivered by a security officer early on Friday afternoon to the office of Deputy Attorney General Rosenstein, according to Justice Department spokeswoman Kerri Kupec. It was then delivered within minutes to Attorney General Barr. The White House was notified around 4:35pm that the Justice Department had received the report. The letter was scheduled to be delivered at 5pm to staff members on Capitol Hill. Later on Friday, Rosenstein was expected to call Mueller to thank him for his work in the last two years. The Justice Department says Attorney General Barr is reviewing Mueller’s final report, which is still confidential. Barr said he could update Congress as early as this weekend about Mueller’s findings in the Russia investigation. It sets the stage for big public fights to come. The next steps are up to Trump’s attorney general, Congress and, in all likelihood, federal courts. It’s not clear how much of the report will become public or will be provided to Congress. Barr has said he will write his own report summarising Mueller’s findings. The nearly two-year probe has shadowed Trump’s presidency and resulted in felony charges against 34 people, including six people who served on Trump’s campaign.